Hi there! I hope your week is off to a great start. I've had a bit of a cold, but am feeling much better now - thanks for all your sweet get well wishes! Now, I'm trying to play "catch up" after a couple of days of not feeling like doing much of anything. Unfortunately, the House Cleaning Fairy took NO pity on me while I was sick, so yesterday was catch up laundry day. Today has been a mix of cleaning and crafting - I couldn't make myself stick to just cleaning and had to sneak up to my Craft Corner for awhile! Guess I'll have to pull out the dust rag tomorrow some time. 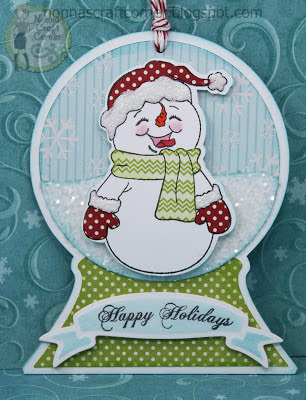 But, today I have fun Christmas gift tags to share with you...much more important wouldn't you say? See...much better than housework...don't you agree? * The sentiment banner is Spellbinders Die - "Ribbon Banner"
Tanya ~ OMG!! 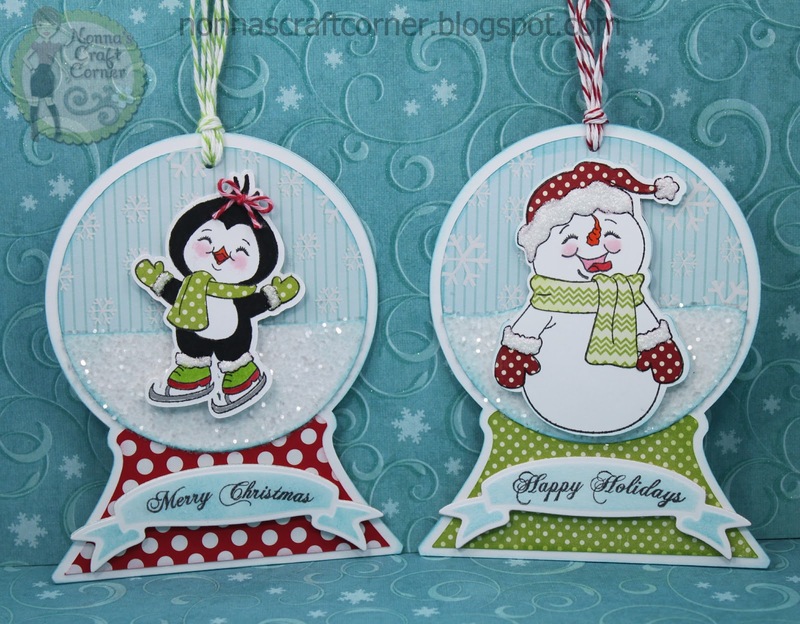 How ADORABLE are these snowman and penguin globes!!!! Well I must say these are colored, glittered and paper piece PERFECTLY!! You also used my FAVORITE glitter!!! Well So happy I couldn't sleep!!! Well I am HAPPY that you snuck up there instead of doing the cleaning fairy job!!! Hope you feel better everyday!! Those could not be any CUTER!!! :) I love your snow globes and the Peachy Keen Goodness!!!!!!!! These are SOOOOO Stinkin cute !!! Just love them . I am glad to hear that you are feeling better, I know that crud is going around , Yuck !! Glad you are feeling better Tanya. 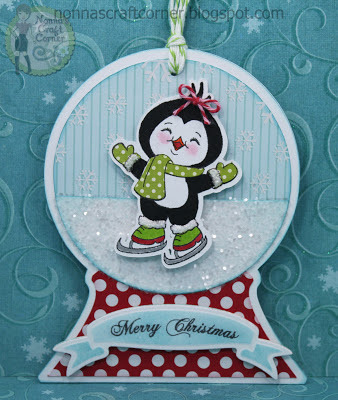 I just LOVE your snow globes and your penguin and snowman are adorable! Oh My - these are so cute - love the colours. Fabulous. Glad you're on the mend. Your snowglobe tags are adorable. Bright, cheerful and perfectly done. Holy cow, those are awesome tags!!! WoW!! These are just adorable@! I love the sparkly glitter in the snowglobes! Your paper piecing is perfect and I love the colors too!! EEK! These are so super cute! LOVE them! Thanks so much for playing along with us at PeachyKeen! Love these snow globe tags.... so fun!!! OMGoodness!!! These are so stinkin cute! I love the snow globe shapes and your little guys are SO cute! These are so very cute! Love them! These are like the Cutest Tags Ever. I don't even know how you will be able to give this away. ohh yaaa forgot to add, much better than cleaning, definately agree!!! These tags are SERIOUSLY CUTE!!! !Good Luck!Its a WINNER!! Loving your tags! They are too cute to use.